Selecting the right attorney for your case is crucial if you actually want to come out on top. Not all lawyers possess the same experience or standard of professionalism, and unfortunately, even if you do all the necessary research before you hire someone, you can still end up with a legal team that doesn’t do your case justice. There are several warning signals to watch out for that are good indications you’re receiving less than adequate services. Open and honest communication is key for any attorney-client relationship. If you are unable to ever get your lawyer on the phone, you don’t receive calls or emails back in a timely manner or you can’t schedule time to meet face to face, it’s not a good sign. While you can probably count on your attorney to be reasonably busy and should understand that they have other cases to tend to as well, you shouldn’t have to question if they are giving your case the amount of attention it deserves or if they even care about it at all. When you hire a lawyer, it’s fair to expect good and somewhat prompt communication throughout the process so that you know what’s going on with your case at all times. An attorney who misses deadlines or doesn’t seem to know what they’re talking about when they refer to local laws and court proceedings should send off little alarms in your head. A truly experienced lawyer will be familiar with all jurisdictional laws, statutes, regulations, deadlines, court processes, etc. that pertain to your type of case and will be able to confidently and accurately answer any question you throw their way. Unknowledgeable and careless attorneys can cause serious damage to their clients’ cases. An efficient legal team will want to make sure their client is well-prepared for all dispositions, court dates and other important obligations and will spend the time properly preparing and educating them. If you are expected to just show up without any kind of rundown about the proceedings, it can cause you even more stress and end up being detrimental to your case. When you retain counsel, there should be a clear understanding from the beginning of what fees and payments are going to look like. If you begin to receive invoices that seem excessively high, it could be that your attorney is billing you above and beyond what you agreed upon and has found ways to include charges for services that weren’t actually performed or that they have no real business attaching a price to (photocopying documents, attempted phone calls, etc.). As mentioned above, communication is vital to a successful working relationship and so is a good attitude. An attorney that talks down to you or is more interested in their own agenda than they are in listening to your ideas or concerns isn’t usually worth the time, money or effort being spent. The most favorable lawyers know how to work together with their clients to achieve a positive outcome by balancing compassion with professionalism and patience. Another sign that you might want to turn around and seek new counsel is if an attorney is constantly promising that your case is a surefire win. No matter how good your case may be, there is never a way to predict the results of a legal matter. Anything can happen, and it’s your lawyer’s job to be honest with you about that and continue to do the research and work necessary to give you their best efforts. If you notice any of these red flags, don’t hesitate to get out of a bad situation as soon as you can and find an attorney who practices ethical law and cares enough to fight for your rights. Tiffany Olson is an established guest blogger and loves to share legal and law related information with the public. When she’s not busy writing or researching you will usually find her doing yoga, cooking, or traveling. The life of a private investigator must be an interesting one. As a private investigator, you get to solve some of the toughest cases even the police can’t solve. Of course, you need to be good as a private detective to be renowned. -The police can’t help you. This is probably the more frequent reason people opt for the service of private investigators. The police might not be able to help you if they feel like what you want does not cover their area of duty. -The police have made a mistake or a number of mistakes. Police officers are human too and they tend to make mistakes. 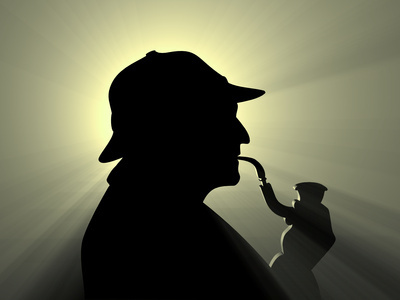 If you disagree with anything they have done for you, feel free to challenge them by hiring a private detective. -You have an unresolved issue you need help with. Tim D. Wilson is a son of a famous former Houston-based Clyde Wilson, a legendary private investigator who passed away in 2008. His unique detective skills made him renowned in the US as well as outside of the US. Until this very day, many people in Houston refer to him as “Houston’s Most Public Private Eye”. Should Drunk Drivers be Penalized More Harshly? Like any other criminal charge, an individual who is charged with driving while intoxicated (DWI) or driving under the influence (DUI) is deemed innocent until proven guilty. Evidence presented by the police officer on the case and the chemical test results make it a difficult rap to beat. Stiffer penalties should be imposed for DUI offenders. Many drivers tend to do the same thing again in the future, because of the very lax system in imposing penalties and ensuring compliance for whoever drives under the influence of alcohol or drugs. The most common penalties are fines and license suspension, which does not seem to count as sufficient deterrent. All states treat first-time DUI as a misdemeanour, punishable by 90 days suspension and fines. A first offense may be excusable due to ignorance. A second offense may need a bigger shock. Multiple or aggravated counts of DUI or DWI are considered felonies, which should have graver implications. There is much greater chance of causing injuries or fatalities on the road, and there needs to be greater emphasis that being able to drive is not a right – it is a privilege and a responsibility. When people are penalized yet rates of drunk driving do not increase, then there should be a serious call for stricter penalties and awareness about what ignoring the warnings about drunk driving will mean. A driver on his third or fourth offense can have his license permanently revoked or experience jail time, but is this enough if before that an innocent person got killed because of someone’s irresponsibility? Lawmakers and law enforcement officials have the responsibility to reduce harm to citizens, not just to find and punish offenders. Mandatory alcohol education and assessment, ignition interlocks, and other small ‘inconveniences’ have recently shown to reduce DWI just through the reminder that drivers previously convicted should not do it again. Day after day, new cases of DUI and DWI charges continue piling up at the desks of a New York DWI Lawyer. And worse, the offenders are getting younger and younger. Everyone should know that responsibility and discipline is essential when owning a car. It isn’t really that difficult to follow certain policies, so why not just stay home or let someone else drive to let yourself get sober first? This way, you’ll get to drive home safely, without the risk of acquiring New York DWI Charges and severe penalties. Comparing to the inconvenience of calling for a taxi to incurring hundreds or thousands of dollars in penalties, awareness and avoidance seems like such a small measure. If you’re a first-time offender and resolved not to do this again, it’s best for you to contact a New York DWI Lawyer who can defend you from New York DWI Charges and strongly minimize penalties. Are you planning on starting studying law but you worry you would not be able to afford it in the long run? Getting a part-time job would be a feasible solution to some, but then, we know that life is unpredictable. Academic work varies throughout the school term, and there may be days or even a week that you would not be able to be present for work. You might try working in legal document translation services. It is a hard start, but why not? Anyone can become who they want to be as long as they work hard and work smart. Being a freelance translator in your field while you are still studying will provide you a lot of benefits that no other part time jobs can. Earn money. 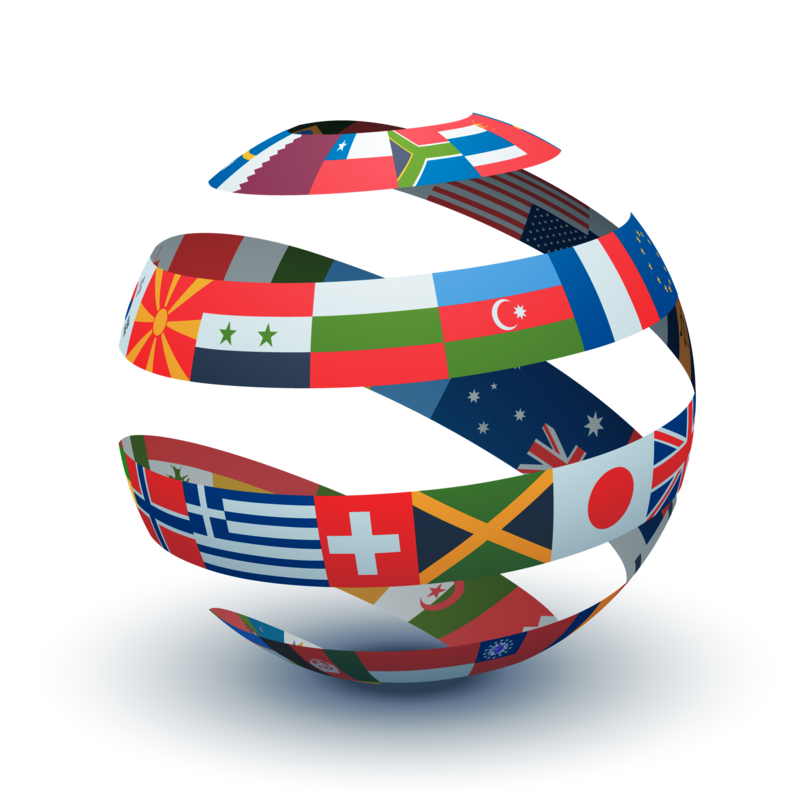 Freelance translators are paid £75-£180 per thousand words depending on the language. This would allow you to even graduate your degree debt-free. You control your time. This means no shifts. You work when you want to as long as you will be able to meet the set deadline. Allows you to meet the must know people in your field and establish connections while still studying. This means that while your classmates are still poring over their books, you are already working on real life experience and meeting people who will be your future clients or boss after you graduate. Improve your writing skills. Translators need not only be good at the language they are translating in, they must also be good writers able to write objectively and carefully so as not to deviate from the author’s intent. Improve your research skills. Translators learn efficient research skills through the course of their career and you get to learn new things about your profession. Allows you to diversify risks. Being able to establish a career in translation while you are still studying allows you to have something to fall back on when you are starting in your career in law. Learn how to sell yourself. Becoming freelance means that you go to the jobs when you are starting. You learn how to work in your CV, talk to people and answer interviews. You also get good at correspondence by e-mail, phone or Skype. Starting as a freelance translator is a hard journey. People are reluctant to hire people with no experience so you need to set you rates lower than the established market rates. Invest time and money. Find a professional translator who would be able to help you start up, and as always, read, practice and proofread. It is only the beginning that is the hardest, but once you have established your own brand of service, you are in. Look for freelance writing jobs on ThePensters.com. Every business which wants to take consumer purchases by card transaction must abide by the law and follow the annual Payment Card Industry Data Security Standards(PCI DSS) regulations or they could receive heavy fines if a customers details are breached by criminals. In the United Kingdom and most other countries a special kind of card machine uses mandatory ‘Chip & Pin’ technology to identify a genuine card holder in stores, you must also be approved for a special kind of bank account and meet the requirements in order to have this privilege. Chip and pin machines are the devices which can help you with your business transactions anywhere and anytime. These machines are basically meant for chip and pin cards. It is a system similar to a debit and a regular credit card, but the chip and the machine reads the information from an electronic chip rather than being swiped. These machines are basically meant for accepting card transactions with a pincode not signature but the swipe option is still available for emergency. These terminals are often used in business areas and help in increasing the sales because they are very easy to operate. The online Merchant Services gives you a fast and a secure access to all your business transaction details. By opening a Merchant Account under any such services you can increase your customer flow by accepting the credit or debit card transactions which otherwise you cannot do and you can also manage your account effortlessly. You have the option to receive the daily or weekly or monthly cash flow updates. These accounts also empower you in dealing with your hard earned money. There are various features which are offered just to keep you aware about the inflow and out-flow of your money. While making an online transaction you always worry about your confidential data, such as PIN details, whenever the card reader machines accept cards. Customers’ security is every businessman’s top priority. The highly secure Contactless Payments technology allows you to make payments without even touching the card reader. Now there is no need to carry cash or to fumble with the PIN. You just have to hold the device over the reader to pay for your purchase. As it grows green you would know that your payment is approved. This method ensures that your account is 100% protected from any fraudulent activity and still follows PCI compliance law.